This Online CV Maker is created by Myanmar developer in order to help Myanmar people to create presentable CV forms. 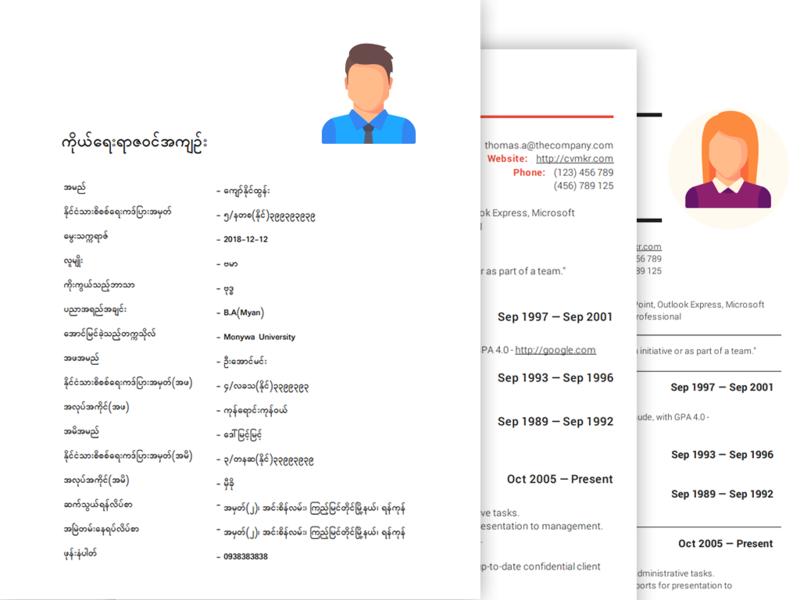 Users can use this website to create beautifully crafted CV at no cost. There are two kinds of the template, basic and advance CV templates. To create a basic template, you don't need to create an account. In order to use an advanced template, you must log in by creating an account at the system. You can try it visiting to GrabCV website.